We here at KidTripster have traveled a lot of places around the world and covered a lot of cruises, resorts, and all-around fun stuff. But never before have we had so much interest from readers in one particular property as we have with Beaches Turks & Caicos. Whether it’s the catchy TV ads with stunning shots of the long stretch of white, sandy beach and turquoise blue waters or just word of mouth from families who have been there, somehow everyone seems to know about Beaches Turks & Caicos and its reputation for being the perfect beach destination for families. So the obvious question: is it? I, for some reason, once had the impression that Beaches was cheap and cheesy - much in the way I used to think of “all-inclusive” as college kids, plastic wristbands, and cheap liquor. I have no idea how I got this impression, seeing as Beaches Turks and Caicos is, in fact, a five-star property, and there is absolutely nothing at all cheap about it. Nevertheless, let me be the first to tell you that a recent trip to the resort blew my pre-conceived notions right out of those cerulean blue waters! My family and I had the opportunity to visit Beaches Turks & Caicos to celebrate the re-opening of the resort. Turks and Caicos was one of the Caribbean nations hit by both hurricanes Irma and Maria in the fall of 2017. The resort suffered damage but is completely repaired and looking better than ever. At some all-inclusive resorts, you can pay for a different wristband, allowing you access to certain pools, restaurants, or top-shelf liquor that others can’t get because they haven’t paid for the upgrade. At Beaches, everyone - regardless of what type of room you’ve received - receives the same level of service, and in fact, there are no wristbands at all. You have access to everything, no matter what, and everything is included in the price: food, drinks (including alcoholic beverages), activities, mini bar, kids’ clubs, scuba diving, sailing, snorkeling and other water sports, water parks, parties, entertainment, and even gratuities. That’s right, there’s no tipping allowed. Beaches Turks & Caicos is a massive resort that offers more than two dozen different room categories from oceanview rooms and family suites to small villas and 4-bedroom residences with private pools. There are essentially five resorts in one. Each village has its own vibe. Generally speaking, I would say that the Italian Village is the liveliest. It’s sort of the heartbeat of the resort with the largest pool (and shallow splash pool for little ones) and the Pirate Island waterpark. It’s in close proximity to the beach, dive shop, restaurants, shopping, and entertainment. We were lucky enough to stay in a poolside family suite in this village with king-sized bed, day bed with trundle, and separate kids’ room with bunk beds and trundle. This suite is perfect for larger families. Take a tour here. Parents will appreciate being able to close the door on the kids’ sleeping quarters and still stay up - critical, if you have a young child who goes to bed at 8 p.m.! KidTripster Tip: Save space in your bag and don’t bother packing shampoo, conditioner, body wash or lotion, because the provided toiletries are premium. The Red Lane Spa products are not only sulfate-free, but they smell amazing. And yes, I came home with a few in my bag, thanks for asking. The French Village tends to be quieter during the day. It’s close to the waterpark but about a 5-minute walk to the beach. It’s also where the stage is located for nightly entertainment, so it does get busier during the evening hours. The Caribbean and Seaside Villages are the closest to the beach, have two pools, and are right by the Camp Sesame Kids’ Club and the playground. While this is the oldest part of the resort, most rooms have been updated; Cay Villas had extensive renovations. This part of the resort has an island feel and is often where you can find the best deals. The most recently built Key West Village has a distinctly more upscale feel. Here you’ll find 2-, 3-, and 4-bedroom condos and cottages. Many of them come with kitchens, laundry, and butlers; some have their own hammocks and private pools. This part of the resort, complete with a seaside infinity pool, has a very quiet, casual elegance to it. While there are no “adults-only” sections at the resort, the Key West Village tends to be more appealing to guests without kids. Families are more than welcome here, but you should know that there’s a good bit of walking involved to get to all of the waterpark and kid-related activities. This area is a great option for larger families, families traveling with grandparents, or just grandma and grandpa if they want to be with the family but not with the family. From tiny tots to teens to grandparents, there’s something for everyone here. Yes, Beaches has a partnership with Sesame Street, which is obviously aimed at younger children, but there’s more to this resort than Elmo and Big Bird… so much more! All Kids’ Club staffers are members of the International Nanny Association, so your children are in excellent hands. Still, every parent knows, no matter how good the club is, there’s a chance your child may not want to go in. So let me tell you about my family’s experience. My 4-year-old daughter, who can be quite shy, came with my husband and I to check out the kids’ club on our first full day. We had no intention of leaving her there, only getting her registered for later in the week by providing the club with important information (such as food allergies and passport number), contact details, and a password to be be used at pick-up. We left and later that day, our daughter proudly announced, “I would like to go to the kids’ club tomorrow,” to which her father and I happily replied, “Okay!” (with an exchanged look of “Woo-hoo!”) So the next day, we walked into Camp Sesame. The caregivers not only remembered my daughter’s name, they remembered our names, too. Impressive, but even more astonishing, my daughter walked right in and started playing away without an ounce of hesitation. We could hardly get a goodbye hug or kiss before sneaking off to the spa. She made a mask for that night’s Sesame Street parade, learned the letter of the day with Bert, had lunch with her new friends, played games, and did “discovering with Big Bird.” When my husband went to pick her up, she informed him that she would leave when Big Bird was finished. He practically had to drag her out of there! She went to kids’ club two other times, once for nearly a full day of fun and the other time in the evening, while my husband and I went for an early sushi dinner. When we went to pick her up, she was in the middle of a dance party with her friends and told us to go away. So we left, enjoyed a cocktail, and returned to pick her up again. She finally agreed to leave, albeit reluctantly. The kids’ clubs are open seven days a week from 8 a.m. to 5 p.m. and then again in the evening from 6 p.m. to 10 p.m. While we didn’t take advantage of the kids’ club every single day, there certainly are parents who do. For us, it gave us just the right balance of quality time together, swimming and playing as a family and quality time away from day-to-day parenting. My husband and I went to the spa, ate lunch together, and had a real conversation(!). We went down all the waterslides like a couple of teenaged kids, learned to surf on the surf simulator, and dined at a restaurant that wouldn’t have been for our daughter. It all was such a treat! Having the peace of mind that our daughter was in competent hands and enjoying every minute was the icing on the cake. On our last day, she insisted on stopping by the club just to say goodbye and give hugs to her caregivers. I can’t tell you how much that makes us want to return. Private childcare and babysitting also are available for an additional cost of $15/hour from 8 a.m. to 9 p.m. and $20/hour from 9 to 11 p.m. After that, it’s $20/hour plus an additional after-hours service fee of $20. Those rates cover up to three children and can be paid in cash or added to your room bill. While the younger kids have crafts and scavenger hunts, tweens and teens have “meet-ups” for breakfast and lunch, where they can get to know other kids their age. Then there are all sorts of scheduled activities that they can get involved in like beach dodge ball, soccer, pool and beach volleyball, snorkeling, glass-bottom boat rides, shuffleboard competitions, soda pong, and mocktail mixology classes. At night, there are dinner link-ups, bonfires, karaoke, entertainment shows, mix-and-mingles at the Shadow Lounge, and of course, the disco, Liquid, which is teens-only and no alcohol (with pretty tight security, I might add) until 11 p.m., when teens have to go and it opens to adults. We didn’t see a ton of teens there during our stay (probably because we were staying at Beaches outside of school break times), but the ones who were seemed to love their newfound freedom. Yes, one of the big draws to this resort for families with young children is the Sesame Street partnership. There are ten characters on the property: Elmo, Abby Caddaby, Zoe, Cookie Monster, Big Bird, Grover, Bert, Ernie, The Count, and Julia, Sesame Street’s newest character who has autism. During the day, the characters roam around the resort posing for pictures by the pool and pop into the kids’ clubs for various activities: storytime with Elmo, baking cookies with Cookie Monster, science with Grover, and art with Julia, just to name a few. Additionally, six out of seven nights a week, there’s a show similar to Sesame Street Live; on the other night, your family can enjoy the Sesame Street Parade. Again, everything’s included in your stay. You can purchase upgraded packages to give your child additional access to the Sesame Street characters. The resort offers storytime and bedtime tuck-ins (Cost: starts at $85), Sesame Street character breakfast with photo ops (Cost: Youth (2 and under) Free; Youth (3 and up) $16; Adult $12), and all-access photo sessions, giving you and your family the chance to have professional photos taken with all the characters (Cost: $50). We went to the character breakfast and had a ball - all three of us. Our daughter also got a bedtime story and tuck-in with Abby Caddaby, which was really sweet and special. She still talks about it. KidTripster Tip: If I had to pick just one, I would recommend the character breakfast since you get to see and have your photo taken with all of the characters; it’s the most value for your money. Count ‘em! There are ten pools - two of them are kiddie pools, one is adults-only and scuba training. None of them is more than 4-½-feet deep, most are zero-entry, and four pools are heated. Five pools have swim-up bars, and most have attached hot tubs. Our favorite, by far, was the Italian Village pool which always seemed to have fun music going, families playing, and the occasional game or Zumba class that you could participate in; yet it still managed to be relaxing and enjoyable. KidTripster Tip: If your little ones aren’t strong swimmers, I suggest packing your own water floaties. No lifejackets, puddle jumpers or water wings are available for free at the resort. There are a few shops, but during the busy season, they can sell out. Most of the large pools do have floating loungers for use. Pirate Island, the largest water park in the Caribbean, is the star attraction for most kids (and some adults), featuring nine water slides (three of them so big that only kids 45-inches-tall and up can go on them), a giant pirate ship with water cannons, spray features, and padded slides for the little ones, and a high-tech surf simulator. If you want to see me surf and then wipe out, click here. There’s also a splash pad with sprinklers, a kids-only swim-up bar, and a 650-foot-long meandering lazy river. This 45,000-square-foot park is an amazing value if you consider a day pass would typically run $45 per person. Take advantage of it every day, so you feel like you’re getting your money’s worth. Take a walking tour with me here. KidTripster Tip: Get there around 10 a.m., and you’ll practically have the place to yourself. Pirate Island gets much busier later in the afternoon when the hot sun is out. Also, be prepared to move around a lot. You can’t just sit in one lounger and see your kids the whole time, so I recommend not bringing valuables with you. Instead get in on the fun with your kids. Turks and Caicos has one of the largest reefs in the world, making it a great dive spot. And unlimited scuba diving and water sports are all included! Hear that, tweens and teens! There’s also Aquatrikes, LaserPerformance Bug sailboats, Hobie Cats, kayaking, paddleboarding, snorkeling, snuba (snorkeling + scuba), tubing, waterskiing, and glass-bottom boat adventures. You also can go out on powerboats or learn to sail. 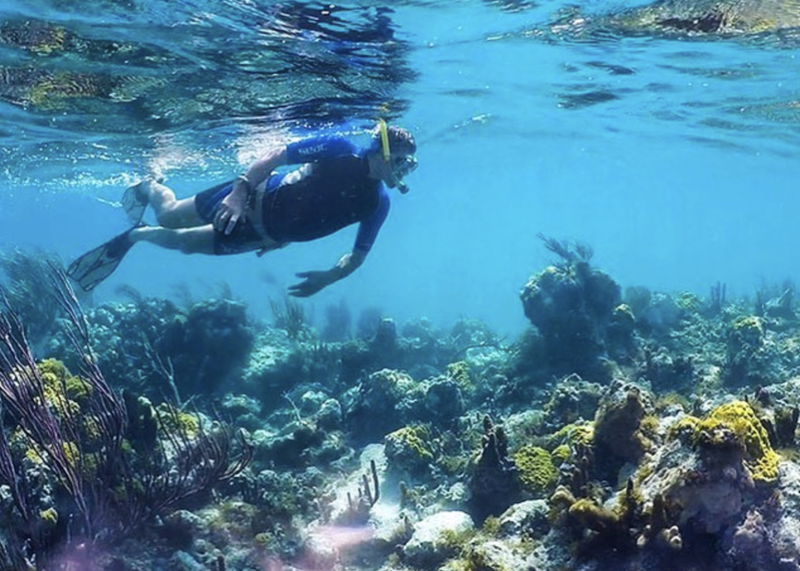 KidTripster Tip: Scuba diving is free; however, if you haven’t done enough diving or it’s been a while since you last dove, Beaches will have you take a refresher course. Cost: $80. Also, the resort charges you for wetsuits. Cost: $10. So if you plan on diving a lot, consider packing your own. If you’re not certified, PADI courses are available. Cost: $100 and up. KidTripster Tip: From the beach, you’ll see water trampolines and parasailers. Note that these activities are not associated with the resort; you go at your own risk and expense. The Beaches staff can’t recommend or vouch for any of the outside vendors. Some friends that we made during our stay went parasailing with Captain Marvin’s Watersports and said that it was a wonderful experience. Teens and tweens infatuated with video games will be in virtual heaven at the Xbox Play Lounge. Older kids also can get their game on in the Trench Town Shadow Lounge, where they’ll find pool, foosball, air hockey and hoops. In the Jungle Room, younger kids can play a small-sized pool, air hockey, ping-pong, foosball, and more. You’ll also find shuffleboard, horseshoes, croquet, and lawn chess scattered throughout the resort. Located between the Key West and Italian Villages, there are two hard tennis courts and two turf courts lit for night play. Good quality rackets and balls are available for use. No reservations are needed. There’s also a pro onsite who holds free clinics, but private lessons do cost extra. You’ll find state-of-the-art fitness centers in both the French and Key West villages. I only know one of them exists because it’s next to the spa! My husband and I had every intention of going to the fitness center at least once or twice but found we were getting in quite a few steps just climbing to the tops of waterslides! Having said that, I’m sure that the fitness centers are lovely. KidTripster Tip: Classes for kids - yoga, beach fitness, and Tabata Training (ages 16 and up) -are free. However, there are steep fees for adult classes. Beyond the Sesame Street shows, there’s plenty of live entertainment for adults. From reggae music and various dancer performances to karaoke and even bingo, there’s always something going on. If you have a sitter and the energy, Turtles (an adults-only bar), the Cricketer’s Pub, and the Liquid nightclub are all hopping in the late night hours. Look for the weekly beach parties and bonfires on the sand, too. If this is one of those trip-of-a-lifetime experiences for you, like it was for us, I highly suggest booking a family photo session with SnapShots, the resort’s on-site professional photography studio. No, it’s not included in the all-inclusive package, but you can get a free, 20-minute session on the beach. You can then purchase prints at about $16 to $18 per photo. You’d be hard-pressed to find a photographer who’ll do a family photo session with no sitting fee and give you 15 high-resolution digital images with full copyright usage for around $250. We did a family photo session on the beach at sunset, and the pictures turned out beautiful. We got 30 photos from that session, plus 15 photos from around the resort (the character breakfast, baking with Cookie Monster event, my daughter’s tuck-in with Abby, and a few photos of us coming down the waterslide) - all for $500. KidTripster Tip: Think ahead and pack clothes that coordinate well for your photos. Check sunset times before you go, if you want a sunset session. And book your photo session for early in the trip before you get carried away with all the free food and drink. You’ll thank me later! With 19 restaurants, two food trucks, and a coffee shop, the likelihood of you going hungry is slim to none. Add in 15 different bars ranging from the swim-ups to English pubs, and you’ll definitely be saying, “it’s 5 o’clock somewhere!” And why not? You’re on vacation! Whatever kind of food you’re in the mood for, chances are, Beaches has it. From casual burgers, pizza, and chicken nuggets for the picky kids to Tex Mex, authentic Caribbean, Mediterranean, Italian, French, and now even Indian - you name it - you can eat it. The resort even has an all mac ‘n cheese food truck! There are so many choices, you’ll be challenged to get to each and every one of them during a week-long stay. Most restaurants, with the exception of Kimono’s (the resort’s lively and entertaining, Teppanyaki experience), do not require reservations. Only a few restaurants are adults only (16 and up actually) for dinner: Le Petit Chateau, Sapodillas, and Sky. The number one thing people ask me about all-inclusive resorts is: how’s the food? I suppose there’s a perception that it’s all buffets, but that’s not the case here. The food is really good. Is it Michelin Star amazing? No. But it’s better than any all-inclusive property that I’ve been to. Here’s a breakdown of our favorites. Sky, a rooftop restaurant in the Key West Village was, without a doubt, our favorite for breakfast. Blame it on the beignets with orange sauce… yum-azing! This place also has the most incredible sweeping view of the ocean. Our second favorite was probably Barefoot by the Sea, mostly because we loved the atmosphere. Pancakes at picnic tables with your toes in the sand is a pretty sweet way to start the day. And we’re in love with the pint-sized picnic tables just for the little ones. My favorite lunch by a mile? The Jerk Shack on the beach at the far end of the Caribbean Village. The traditional, Caribbean jerk chicken and pork are perfection. Add in the Bammy (a traditional Caribbean cassava flatbread), the Festival (a slightly sweet and cinnamon Jamaican fried bread), some sweet potato fries, and a local Turks Head Light beer, and you are officially in paradise, my friends. There’s no dress code here; no shirt, no shoes, no problem. You eat out of aluminum foil with Bob Marley playing in the background. It’s a little smoky, a bit spicy, and 100-percent “de-lish.” Probably not my 4-year-old’s bag, so we went while she was at the kids’ club. Our favorite family lunch was at Neptune’s beside the beach in the Key West Village. We found lots of fresh, healthy, Mediterranean options on the menu and more to offer kids than just pasta with sauce and chicken nuggets. We loved the hummus, fennel and feta salad, and chicken souvlaki. My daughter had a grilled pita and peanut butter sandwich with fresh fruit and veggie sticks. For dessert, we shared the pineapple tagine, which is fresh cut pineapple with a syrup made from vanilla, anise, cardamom, and clove over the top. It was incredible, and I still wish I had ordered another one just for myself. The Southwestern fare at Arizona’s also is good. We hit it on buffet day, which I normally wouldn’t be a fan of, but the fajita bar is pretty amazing with marinated steak and chicken grilled, plus all the fixings. And don’t get me started on the grilled corn on the cob! You guys, I’m still dreaming about it! We also loved the wood-fired pizzas at Bella Napoli and Dino’s for a quick and easy pizza pit stop between pools. I’m not going to lie, we were at Bobby Dee’s quite a bit. This vibrant and colorful 50s-style diner saved our hide more than a few times. It also may have contributed to our vacay weight gain, what with its homemade milkshakes and cotton candy! Open nearly around the clock, this restaurant is teeming with families. You’ll find pizza slices, hot dogs, popcorn, and fountain drinks out for you to help yourself. Or you can order burgers and fries, corn dogs, grilled cheese, PB&J, ice cream (regular or soft serve), milkshakes, and more. KidTripster Tip: While our daughter wanted ice cream or cotton candy, we sometimes just needed something healthier to tide her over until a late dinner, so my husband would run over and get a big fruit cup from Bobby Dee’s - something that may not be on the menu but is available. Kimono’s, the teppanyaki restaurant and only place that requires reservations, was our favorite not necessarily for the food but for the company. With three or four families seated around each grill, it’s a fun way to get to know people. As we were enjoying our signature sake cocktails with a lovely Canadian family beside us, our daughter was enjoying the tableside entertainment and declaring her meal the “best chicken ever.” It was loud and somewhat gimmicky, but we had a lot of fun. We really enjoyed Schooners, the resort’s seafood restaurant in the Caribbean Village. This is a great spot to enjoy the sunset along with the local catch of the day. And don’t worry if you have picky eaters; there are options for them, as well. The service at just about all the restaurants was great, but here, we had a waiter who went above and beyond - sending someone across the resort to get ice cream (an item that’s not on the dessert menu) for our daughter. My husband, the sushi fanatic, loved dinner at Soy and said it’s some of the best sushi that he’s ever had. My favorite was dinner at Le Petit Chateau, which is probably the premiere restaurant on the property. It’s known for its terrine de foies de volaille (chicken liver pâté), which I can confirm is really, really nice. I also can recommend the filet mignon, roasted lamb, and scallops. And anywhere with molten chocolate cake, gets my vote, am I right? On Friday nights, there’s a big buffet dinner and beach party that starts around 6 p.m., complete with food, music, and of course, Sesame Street characters. KidTripster Tip: Some restaurants close for the day at 5 p.m.; others open between 5:30 and 6:30 p.m. So if you’re looking to eat at 5 p.m., you’re limited to Kimono’s, Cricketer’s Pub or Bobby Dee’s diner. Alternatively, you could grab something at Dino’s, Bella Napoli or Mr. Mac before they close at 5 p.m.
KidTripster Tip: No matter what time your kids like to eat, really look over the restaurant brochure when you arrive. In it, you’ll find the hours, dress codes, and days that they’re closed. Because I wanted to try as many of the restaurants as possible (for the sake of, ahem… research for you, dear readers), I had to map out each day accordingly. If you want to try as many places as you can, I suggest doing the same. 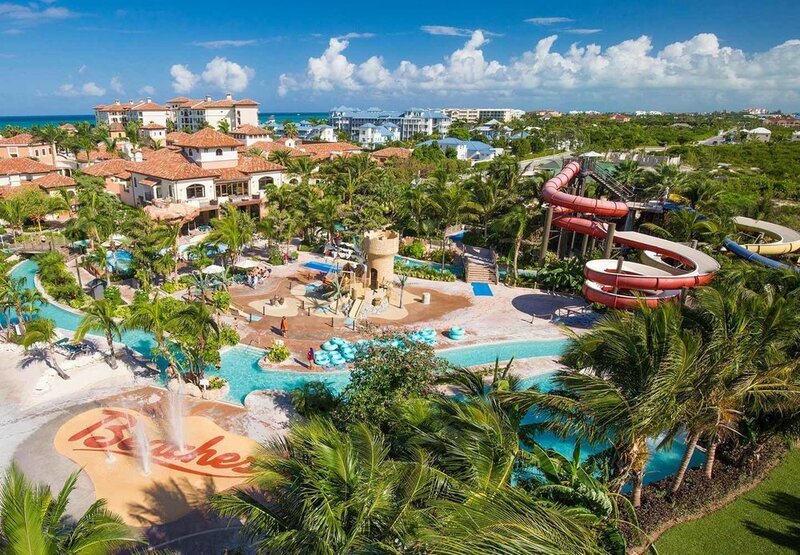 KidTripster Tip: Beaches Turks and Caicos gladly caters to guests with food allergies. The resort has a culinary concierge on staff who is able to provide menus and make recommendations for families. The resort is even able to cater to guests with special dietary needs, such as Kosher meals, with a least one month’s advance notice. Ok, let’s not mince words. Paradise isn’t cheap. The poolside family suite that sleeps up to seven (described earlier) would run a family of four upwards of $12,000 for a 6-night stay. The least expensive room that you can get in the Caribbean Village (at $344/night/person + $68/night/child (ages 0-15)) would cost a family of four less than half of that at just under $5000. And remember, your access and experience at the resort will be exactly the same, so it really just boils down to your preferred sleeping arrangements. KidTripster Tip: Be sure to check the Beaches specials, last-minute deals, and promotions and events or use a Sandals Certified Specialist, whom you also can find on the website. High season for travel to Turks and Caicos is December through March. The shoulder season (April to May) is often the sweet spot for affordability, since it’s neither at the height of tourist season nor hurricane season. The off-season is June to November. These quieter months will certainly be the least expensive, but there’s always a chance of hurricanes. You also may be able to save money by including your airfare in the Beaches packages. You can do this online when booking your room. If you don’t see a flight schedule that works for you or you’re booking the room too far in advance for flights, book the room anyway and then call to add flights later. The resort’s travel agents may have access to more options than you see offered on the website. 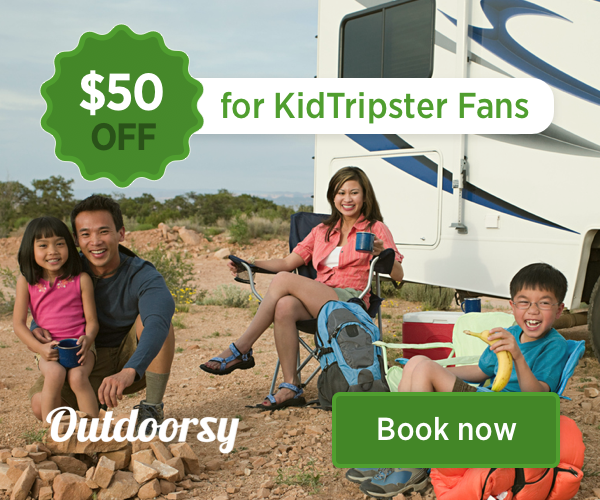 KidTripster Tip: Try booking a Tuesday-to-Tuesday or Wednesday-to-Wednesday stay to save money. KidTripster Tip: Look for specials on Black Friday. Make sure to sign up for email notifications. So, if you want a real break from it all, Beaches is a special treat. It’s all right there in front of you, and it’s all included. Yes, it’s expensive, but maybe it’s one of those trips that your family does once or once in a while. JetBlue, United, and Delta all have direct flights from New York City to Providenciales (PLS), Turks and Caicos with a flight time of 3-1/2 hours. United also flies direct from Chicago; Delta flies direct from Atlanta. American flies direct from Charlotte, Dallas, Miami, and Philadelphia. Airport transfers are included in your Beaches Turks & Caicos stay. Look for the Beaches desk located just outside the customs and immigration area. The airport is about a 10- to 15-minute drive to the resort. Marcia Breen knows a bit about island life. She lived in Bermuda for nearly eight years and can tell you everything you need to know about hurricanes, Dark ‘n Stormies, frizzy hair, and driving on the left. She now lives on the island of Manhattan with her husband and 4-year-old daughter.